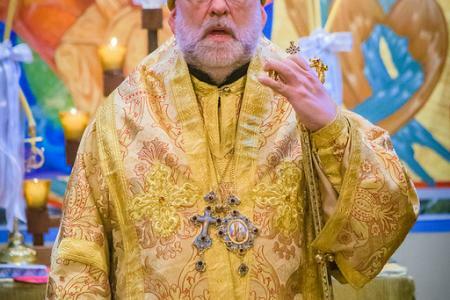 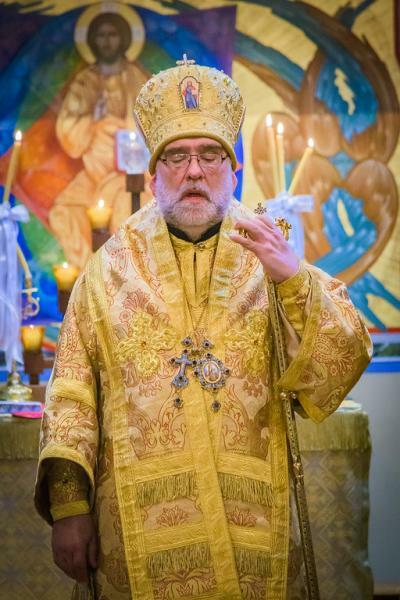 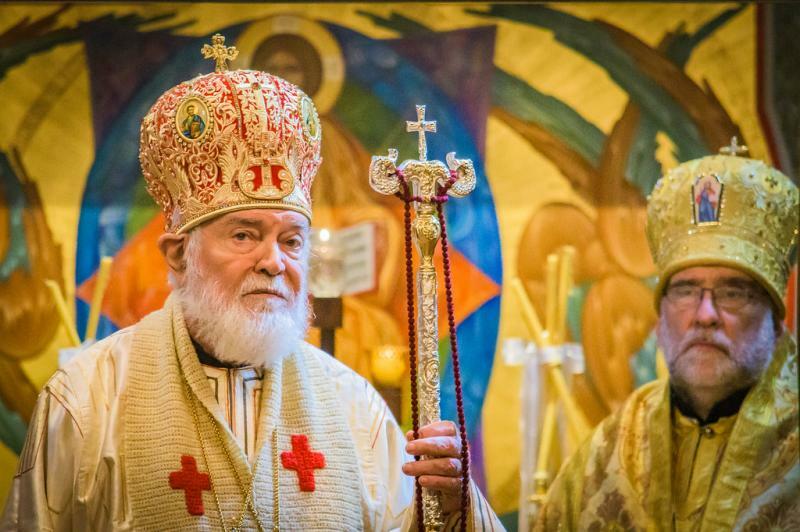 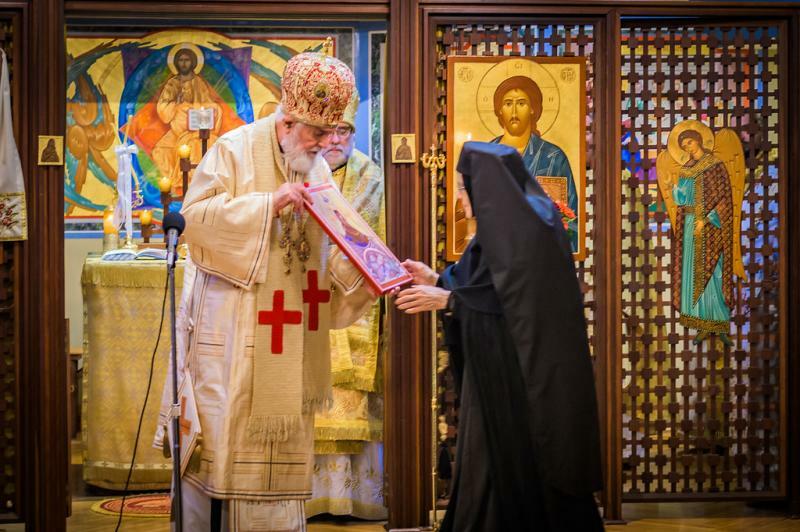 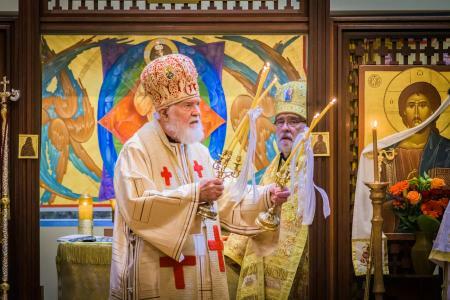 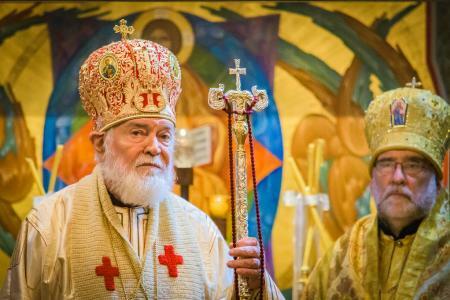 His Eminence, Archbishop Nathaniel of Detroit and the Romanian Episcopate and His Eminence, Archbishop Michael of New York and New Jersey, concelebrated the anniversary Divine Liturgy in the monastery chapel. 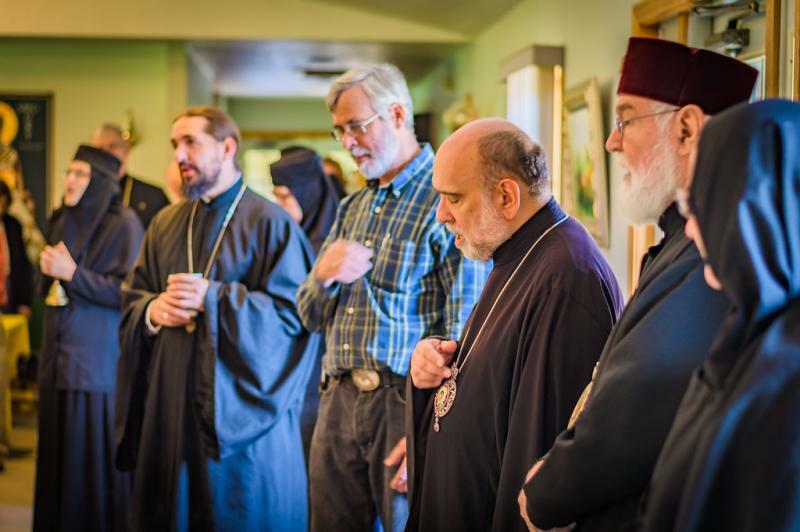 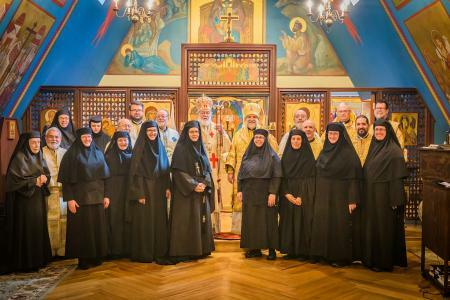 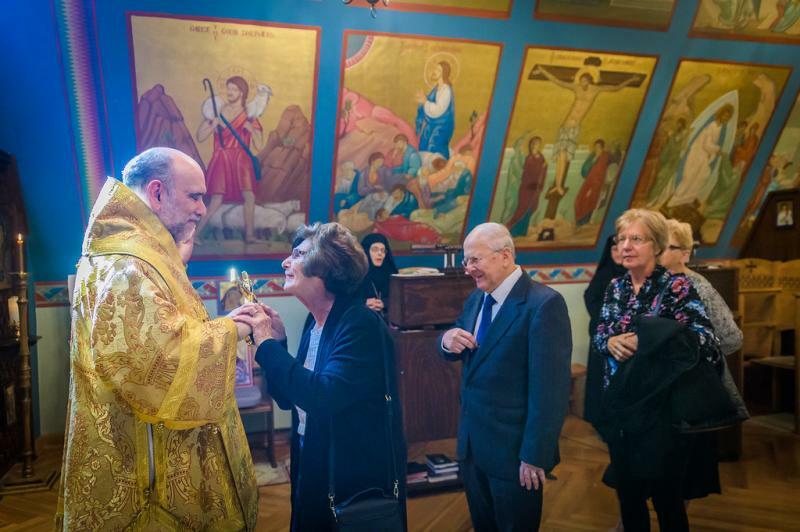 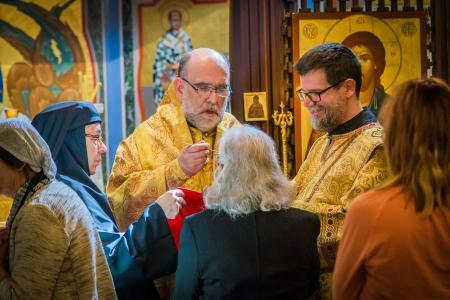 Many area clergy and faithful attended the Divine Liturgy, during which prayers were offered for the repose of the late founding Abbess, Mother Alexandra, the former Princess of Romania, and the faithful departed who helped her fulfill her dream to establish an English-language women’s community. A Service of Thanksgiving also was celebrated, after which a festive luncheon was served. 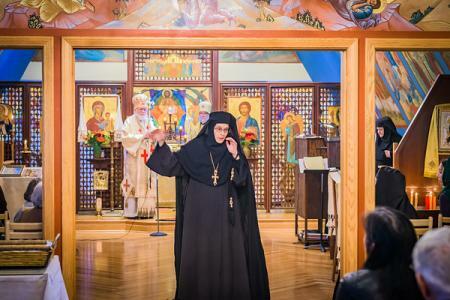 After the celebration of Vespers on Friday evening, a live performance of “Ileana, Princess of Romania” was presented. 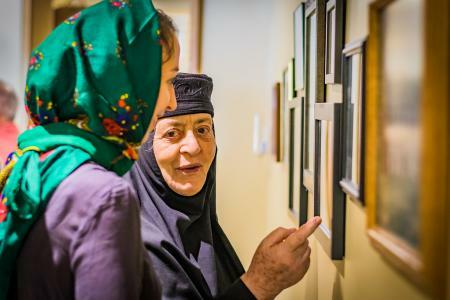 Based on Mother Alexandra’s book, I Live Again, the one-woman play was presented by the acclaimed Romanian actress and playwright Liana Ceterchi. Throughout the month of September, the play—produced by the Women’s Theatre Association, Bucharest, Romania, with support in the US and Canada of the Romanian Cultural Association and the monastery—was well received by audiences in Cleveland, OH; Philadelphia; Belmont, MA; Montreal; Toronto; Southfield, MI; Chicago; and Colleyville, TX.